Pray for the people of Tajikistan, a beautiful country of spectacular mountains. Only 0.4% of the Tajiks of Tajikistan call themselves Christians. Most of the churches which exist are Russian language fellowships and so cannot reach the majority of the population, who either cannot or will not speak Russian. Praise God for workers serving refugees across Central Asia, both in healthcare and schools. Pray that these projects will make known the love of God and share the light of Christ with the hopeless. Ask for God’s protection over the ministries and workers, especially as they travel in and out of the region. Pray for more workers as there are great needs and many opportunities. Tajikistan is a mountainous, landlocked country in central Asia. Until the twentieth century there were no known Christians in the area. Now the Holy Spirit seems to be at work, and many believe that this is God's time for spiritual breakthrough in Tajikistan. A number of Tajiks have heard the gospel and believe, but fearing their families’ and communities' reactions they don’t acknowledge their decision to follow Christ. This greatly hampers the growth of the church and of those individual Christians who are ruled by fear rather than faith and perfect love. Give thanks that God is at work and pray for Christians living in this difficult situation. 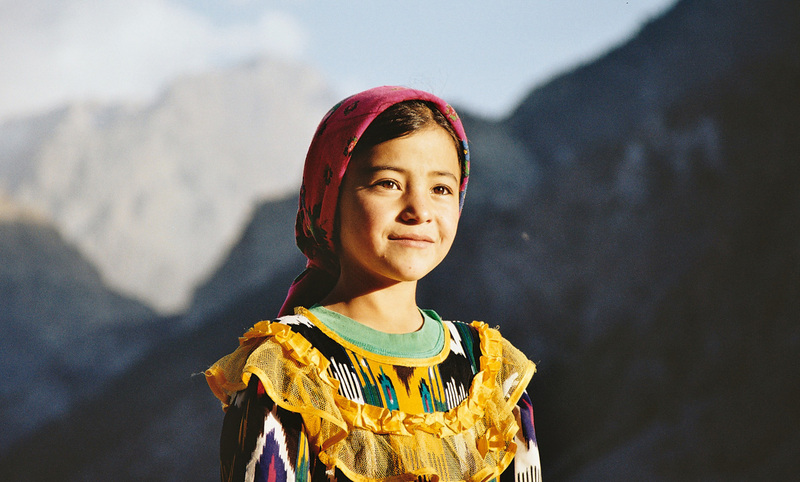 A small mountainous country in Central Asia, Tajikistan is rich with tradition, beauty and hospitable people, who struggle day to day to survive. Tajikistan has impressive mountains but few opportunities for its population of seven million. Many Tajik men travel to Russia to find work and stay there for months at a time, leaving villages with only women, children and retired men. One of the Tajik people's rich traditions is to place their hand on leftover bread, kiss their hand and then touch their forehead - a physical prayer of thanks that there was enough food left over. Folk Islam predominates here. There are around 5,000 Tajik believers and twenty official fellowships. However, very few traditional Tajiks have been reached and Christian witness is largely limited to larger towns. A former Soviet republic, Tajikistan plunged into civil war almost as soon as it became independent from the Soviet Union in 1991. A rugged, mountainous country, with lush valleys to the South and North, it now faces the challenge of strengthening peace and reviving its ruined economy. Tajikistan continues to have problems with security, as well as with feeding its people. Religious freedom is protected under the constitution, however, in practice, the fear of militant Islamic groups provides the Government with an excuse to monitor religious practice closely. Little Christian literature is available and while evangelism is not illegal, the authorities work to prevent any activity that might cause religious tension.